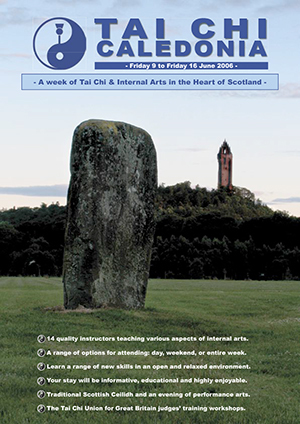 On these pages we provide information and reports on Tai Chi Caledonia through the years. We welcome contributions from previous participants and instructors and we are open to suggestions regarding the nature of content that may interest visitors to our site. 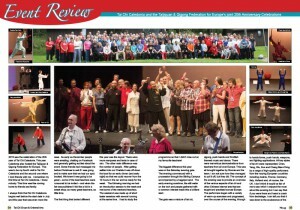 Below you will find PDFs of old programmes along with reviews by various participants over the years. With technological developments we will also be cataloging more details of recent events under the ‘History’ category. 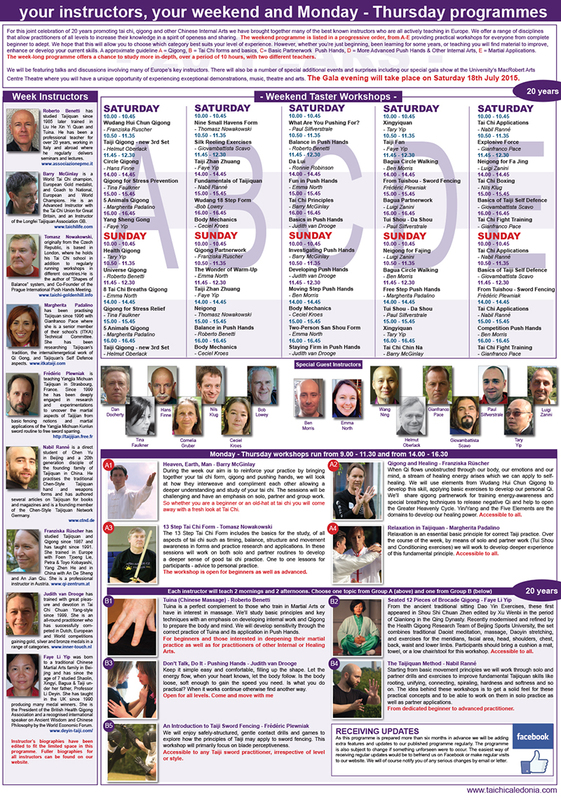 Included is a copy of our 20th Anniversary for your interest. 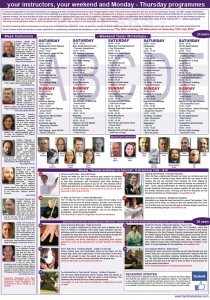 Provided in 2 parts as photo images. 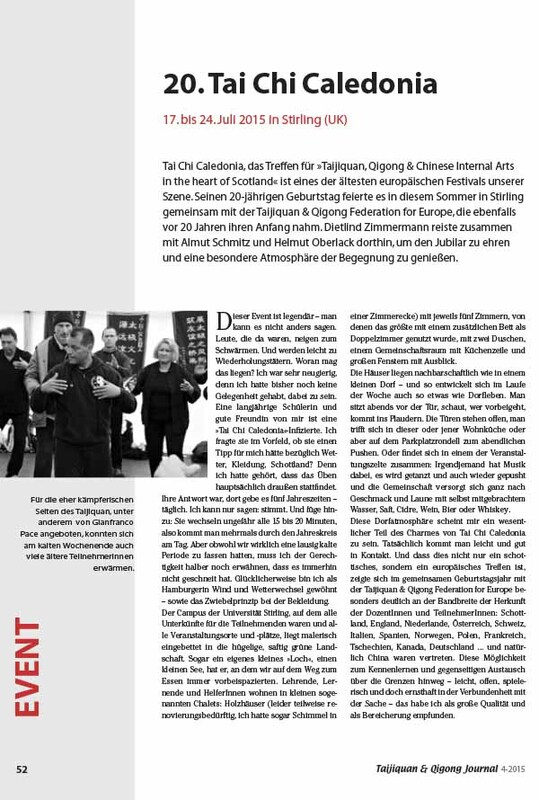 In 2015 we celebrated our 20th anniversary, in conjunction with the Taijiquan and Qigong Federation For Europe. 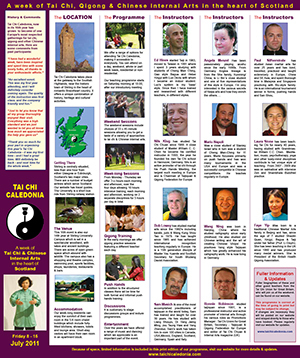 The UK Tai Chi Chuan and Oriental arts magazine included a 4 page review. 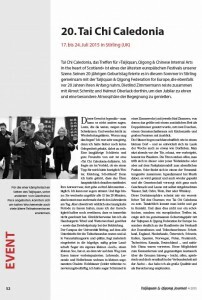 The German Taijiquan and Qigong Journal also included an in-depth review of our 20th event. 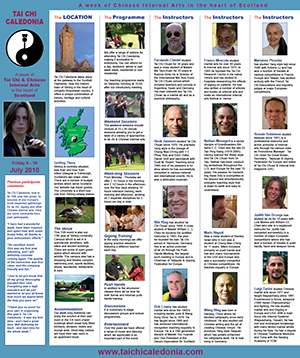 The Images page links to video and images taken by participants and ‘official’ galleries. 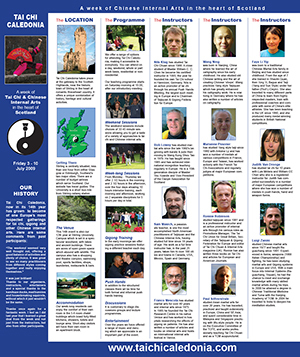 The Images page links to images taken by participants and ‘official’ galleries. First off, thanks once again for a fantastic week. I feel as I did last year that I learned a great deal from the week and not just from the instructors, but also from other participants in the week. Thanks to our organisers, instructors, entertainers and a special thanks to the kamikaze ducks, mad bunnies and housebreaking squirrels, without which it just wouldnae be the same. 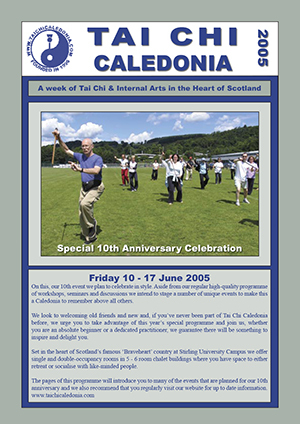 I am just back from the 10th anniversary of Tai Chi Caledonia. Congratulations for a very well organized event. Fiona did an excellent job with organizing the bands and parties. Karen was always there if needed. Bob and Ronnie: you and your team created a great event. 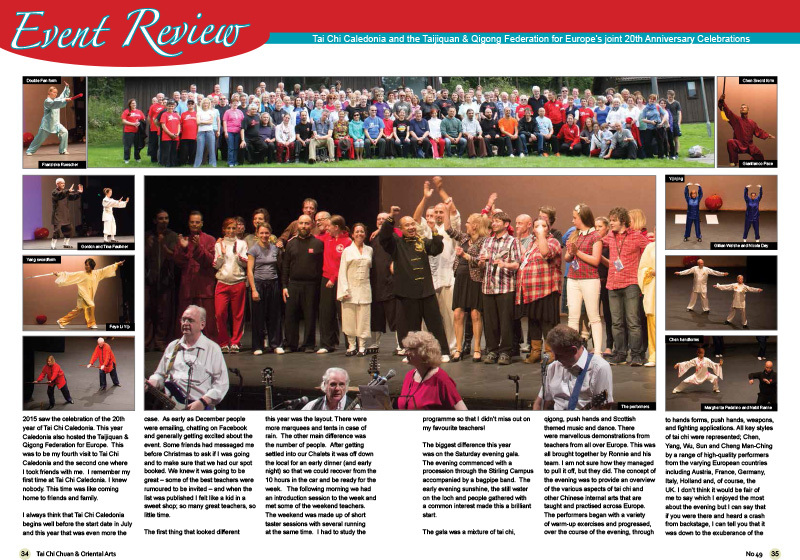 I will never forget this week in Caledonia! And I will never forget the spontaneous parties in the challis! 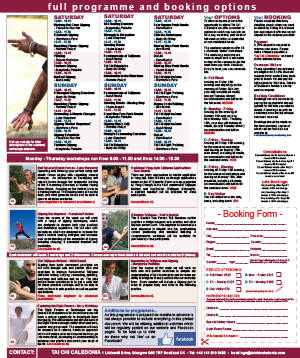 I guess this is the place and time were students get the real secrets of Tai Chi Chuan?! 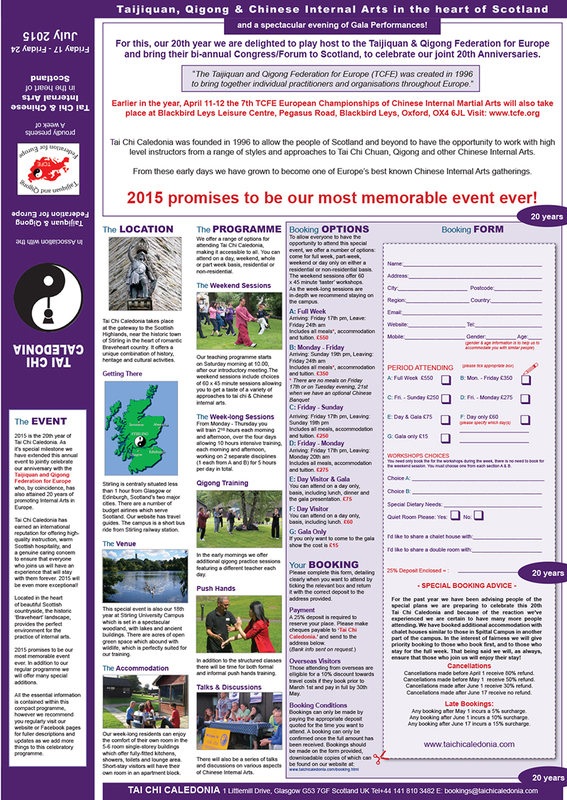 Thank you very much for organising Tai Chi Caledonia. It was a bit of an adventure for me, and great fun. 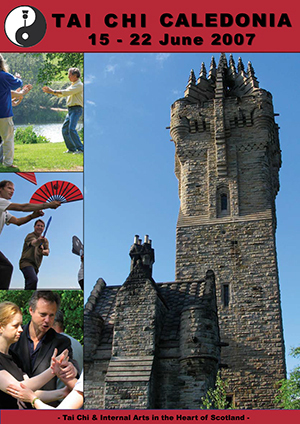 I have known of Tai Chi Caledonia for years and now I have finally sampled its delights for myself. 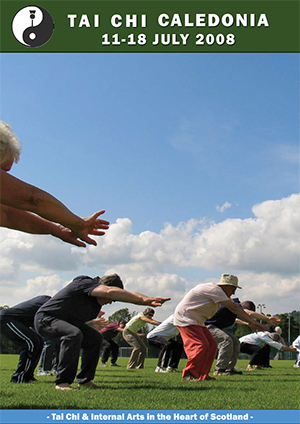 It’s a pretty much unique chance to meet lots of different people doing lots of different things with their Tai Chi and I found it all very stimulating. 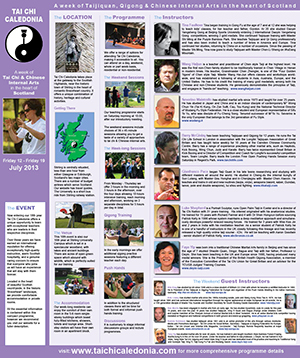 Thanks to all the very friendly and efficient staff for organizing a wonderful Taichi Caledonia again this year! I really enjoyed it. 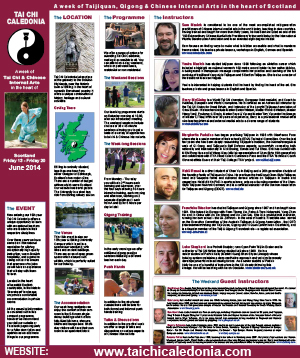 -This year I even learned to dance Scottish roundabouts and tasted the famous haggis (vegetarian in my case). The skies in Scotland are psychedelic and so are many of the participants! 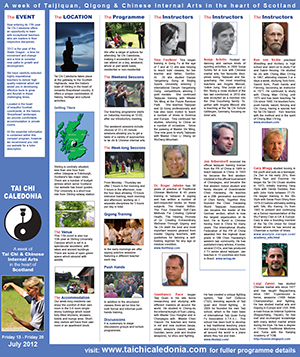 There was also a warm Taichi family feeling and positive exchange as well in Taichi as on a relational level. 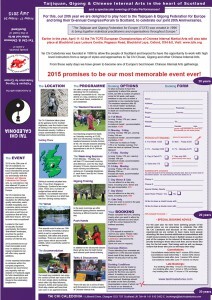 Definitly a numer one on Taichi event.